I like traveling, in fact I love it so much that I tend to be on the move whenever I can because not experiencing adventure, or even new places makes my thoughts and perspective and life in general to stagnate. This is the second time that I will be prioritizing travel over buying a car (like many millennials these days), and I have zero regrets because I see traveling as an investment. Broadening my perspective on life, meeting new people, and experiencing new cultures and languages are only a handful of the rewards of traveling. The first time I traveled alone was at the age of 19. It was a liberating and an empowering experience. I flew across to the west coast to meet my friends in San Francisco. The following year, I traveled to India to study yoga, and also meanwhile summoning up the courage to explore London during my short layover. Italy will be my first european country as I will be traveling there for study abroad instead of a short layover. I am as anxious as I am excited, but does that mean I will be wasting my time panicking? Absolutely not – I will be journaling away my thoughts and emotions for the most part. And if this method does not work entirely, I will remind myself of my destination where one has access to all the mouthwatering gelatos in the world, alongside authentic italian pastas and pizzas! Oh and not to forget the authenticity of the country that is so rich in art and history! The UMBC study abroad group met in Rome, where we experienced the city through the cultural trip exploring the Roman Forum, the Colosseum, and Italian political palaces. We headed to our program location on the third day in a bus journey of about three hrs. The program I chose to study is Italian politics in Siena, Italy. Siena is a lovely medieval city that is distinguished by its medieval brick buildings. 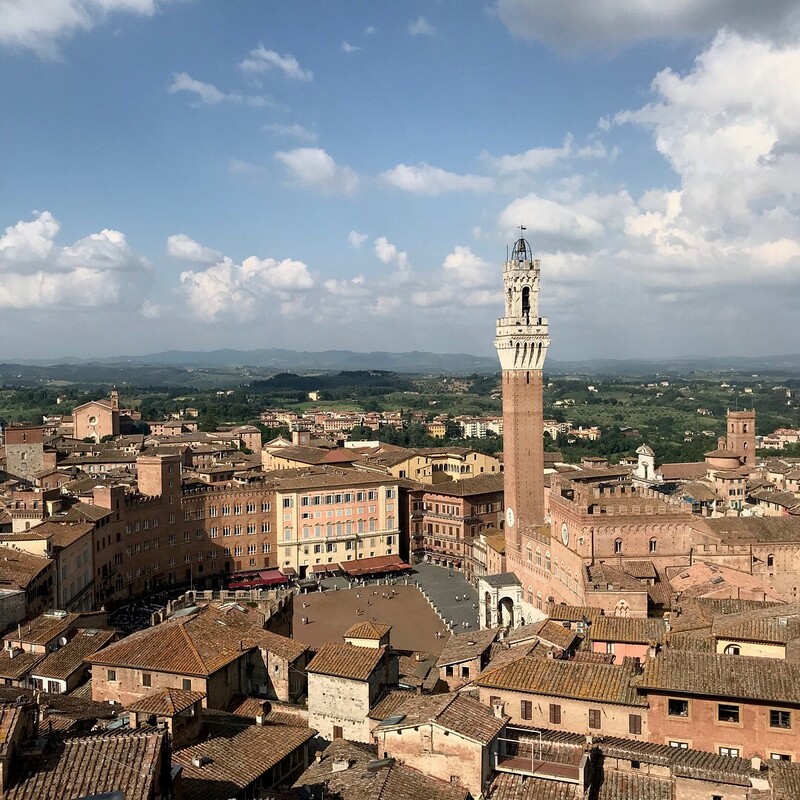 Located in the Tuscany region, the city has 17 contradas, or districts; each representing with a flag of their own, especially during their annual horse race or the Palio di Siena. The student group from my study abroad program is separated in groups of three, and assigned to various different contradas. My apartment is just off of the main square of Piazza Del Campo, the town square. The housing looks medieval and has a rustic touch to it. I am accompanied by my two program classmates and an Italian RA who is a twenty four year old university student herself. Our classes are held for about two hours Monday through Friday, with mixed schedule of guided tour alongside free weekends. My favorite things about my host location so far is definitely the number of designated stores for wine, pizza, and gelato that the place has to offer. I have two roomates where one is obsessed with gelatos, while the other with wine as she admiringly promises that she is not an alcoholic, but explains how it is simply a part of the European culture. Siena is famous for its magnificent art and architecture that are reminders of the renaissance period. So naturally, we had a couple guided tours of cathedrals around the town. One of the best schools in the country, University of Sienna, is also located here and luckily, our program allows us access the library and cafeteria amongst other Italian students. The location of the town square had an uncanny resemblance to my hometown of Boudha, which is an UNESCO heritage site itself. Similar to the town I grew up in, Piazza Del Campo was said to be formed through the passing of trade routes like many medieval towns. I must admit that I experienced (or am experiencing) a mild version of culture shock where there are ups and downs for excitement and joy. The downer mostly being the difference in daily lifestyle which I was used to back home, but on the bright side, it makes a perfect circumstance to push one out of their comfort zone and experience growth. 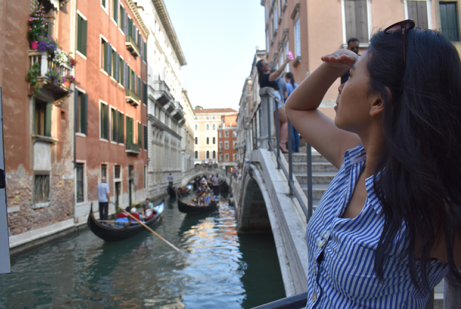 The Italy study abroad program is only about three weeks long, and despite taking regular classes, our schedule seems to vary given the time constraint. However, a typical theme would consist of a morning class, followed by a lunch break, and then a guided tour. The students then have their free time where they either choose to dine out in local restaurants or cook on their own. My plan initially was to follow the latter, but the foods here are irresistible! My favorite so far is cacio e pepe, a typical Roman dish that is prepared with fresh pasta, pecorino cheese and pepper. My roommates and I constantly find ourselves returning to this meal because of its simplicity and the affordable price! Santa Maria Della Scala– since my last blog post, we have had the opportunity to take a guided tour of the Santa Maria Della Scala right here in Siena. A museum today, it was once an important civic hospital that cared for abandoned children, poor, sick, and pilgrims. Revenues were generated with the help of the citizens of Siena, mostly the rich. The museum also consisted of authentic relics of important holy figures. Various fresco paintings took the space of the walls and ceilings, and in it was the story of the former hospital. The paintings represented the soul of the painter; things experienced during the active days of the location. Florence – a day later, we took a day trip to Florence or Firenze as the Italians call it. Although a day may have been a bit too short to explore Florence, we were still able to absorb some of the Renaissance charm of the city. 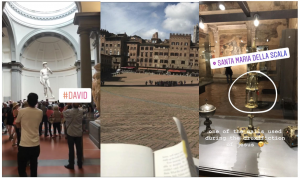 What we covered – Galleria degli Uffizi (Uffizi Gallery) and Galleria dell’ Accademia (The Gallery of Accademia). I was in awe to see the authentic Renaissance pieces painted by some of the world’s greatest artists – Botticelli, Raphael, Da Vinci, Michelangelo, and more! Since the duration of my last post, I had the chance to spend my four days long weekend in Venezia! The iconic Italian water city, Venice! For someone who loves traveling, but is extremely vulnerable to motion sickness, the short trip makes for a cosmic humor. My dream of going to Venice someday came true, and with it came the humorous side of having to take boats everywhere! However, I wouldn’t complain – Venice is magical and has a dreamy feel to it. The city is concentrated and has hundreds of canals running through all over, hence the nickname of The Water City. There are about four main bridges that help pedestrians cross the grand canal, and were built in the late 1500’s. Another thing to note is that this city is famous for its seafood for obvious reasons. I grew up in a landlocked country and was never really exposed to seafood such as lobsters, crab, or octopus; even back in Maryland I would not dare due to force of habit and would get creeped out by them. 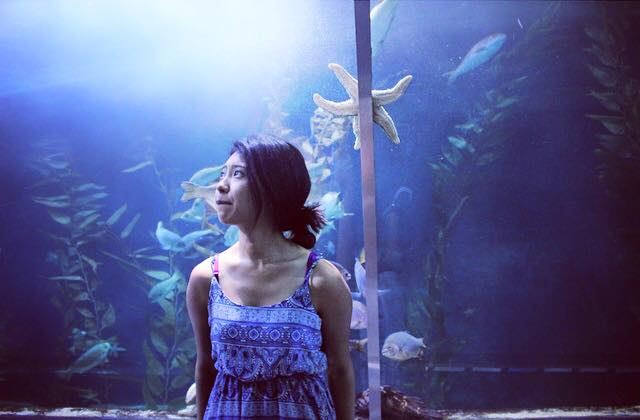 But I was in for an adventure here, to explore and push my comfort zone a little further. And so I did – I tried lobster and shrimps for the first time. I tasted the ocean in each bite. Five hours bus ride and I get back to Sienna just in time to join the group for an evening guided tour. As we near the end of the program, everyone is preparing for their re-entry back to the States. The short study abroad duration in Sienna flew by quick. Just a few weeks ago, I was walking through the streets of Rome, and now I am already preparing for my final exam that marks the end of the program. I have yet to book my return ticket as I am set to further explore Europe for another month and half. Studying abroad in Sienna has been a great adventure, and I can’t wait to see what its neighboring countries has to offer! However, despite growing up in a culturally diverse environment, I am not immune to homesickness or culture shock. I do miss home – family, friends, Nandos, authentic American burgers, sunday markets, Trader Joe’s, my vanilla protein shake, 24hrs gym ~ But if I was to fast forward and look back at this time period, I can definitely see myself missing my host country. I have grown to have a special place in my heart for Sienna with its medieval charm and the bell tower above my window that rings every hour. The amazing collection of wine stores, authentic cacio e pepe dish, and pigeons! There are pigeons everywhere here, and they’re brave too! 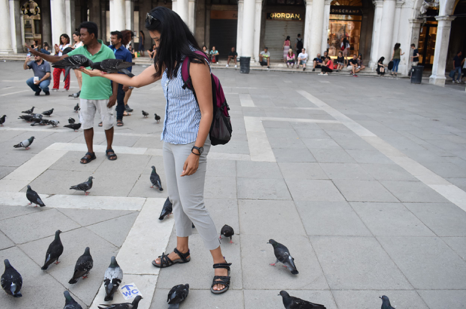 Just like the squirrels back home; I had the chance to feed some in Venice! I am sure that I have absorbed or developed some culture and traits during my study abroad experience, even if it’s at a subconscious level. 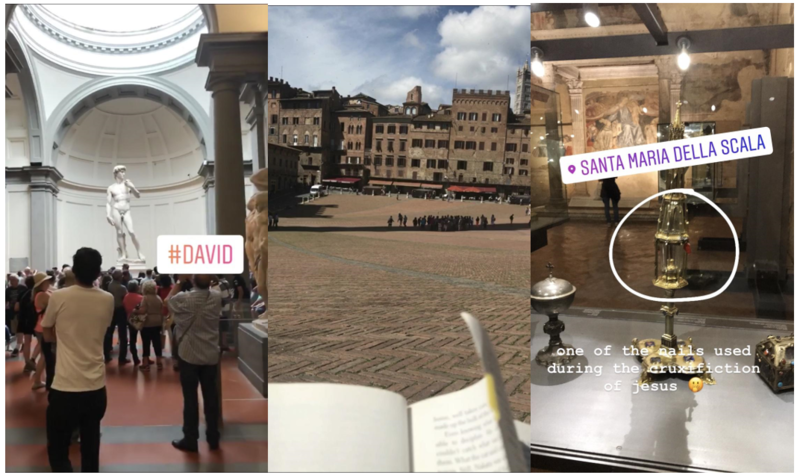 I hope to keep this study abroad experience as a key factor in my life by staying in touch with my program group, watching Italian movies (like Letters to Juliet because they have scenes where they filmed in Sienna! ), and adopting the stereotypical Italian way of life by being laid back! I cherish all the things that I have had the opportunity to learn, and will keep in touch with people I met, and never forget the places I saw. The farewell dinner last night officially marked the last agenda of our program with the group leaving next day alongside the professor. My bus however leaves in the evening towards Rome, so I’m exploring Sienna for one last time in the morning. I have formed a special bond towards this place and have scribbled ample memories into my journal that will last a long time. Now that I look back nostalgically into my international experience, the only thing I would want to have changed is the amount of things I packed when leaving home. I was hoping to be minimalistic and budget savvy by packing some foods and carrying a duffle bag in addition to my medium size luggage. The plan backfired as I found myself indulging in (budget friendly) Italian food with my roomates. However, I am glad that I was disciplined enough to log all my daily budgets as I look forward to being in Europe for another month. 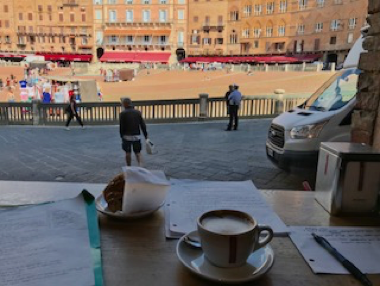 My three weeks in Sienna has given me an insight into the beauty of the Medieval age. I ask my group members about one thing that they would take away from this trip, and the common theme is the way of life here. The laidback Italian life where I don’t quite sense urgency of time and anxiety of not being productive enough like back home. I see grandmas walking around with gelato in their hands, groups of old men engaged in jolly good conversations; the people here have a sense of local pride, something to be noted down. When asked, Italians tend to say where exactly where they are from and why it’s worth visiting. Before I left home, I knew I wanted to travel more once the program ended. I laid out my European backpacking plan to my family where they immediately denied, but luckily I was eventually able to convince them. I used to tell myself that I would travel the world once I was done with school, but then I realized all the more schooling I had to prepare for the next episode of my life. I figured things will keep getting pushed back even further. I could not take the risk of seeing my twenties just past by without living my youth and seeing what the world has to offer!